No change in the top three in the 470 Men and 470 Women leaderboards, but some career defining climbs for others. 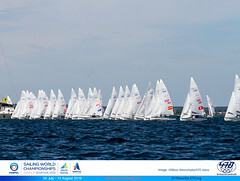 Mat Belcher/Will Ryan (AUS) hold firmly onto top spot in the 470 Men, with no change in the top four behind. Spain’s Onan Barreiros/Juan Curbelo Cabrera have achieved their best ever world ranking as a team, gearing up from world #9 overall to five. The pair finished 4th at the Aquece Rio International Sailing Regatta 2015 and picked up the bronze medals at ISAF Sailing World Cup Qingdao. Also making big gains are the winners of ISAF Sailing World Cup Qingdao, Hao Lan/Chao Wang from China, who leap to world #17, up from 33. Similarly, a silver medal in Qingdao for Austria’s David Bargehr/Lukas Mahr sees them climb eight places to world #18. Korea’s Chang Ju Kim/Ji-hoon Kim mark a career best performance on the ISAF World Rankings, shifting up to world #33, up ten places from 42, rewarded by their 7th place finish at ISAF Sailing World Cup Qingdao. 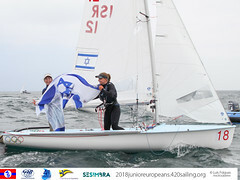 In the Women's 470, there is no change in the top ten with Jo Aleh/Polly Powrie (NZL) holding firm, with Hannah Mills/Saskia Clark (GBR) at world #2. 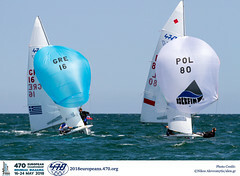 Japan’s Ai Kondo Yoshida/Miho Yoshioka hold onto their world #3 ranking, and edge nearer to the two teams ahead, as they close the points gap from their win at ISAF Sailing World Cup Qingdao. Their team mates Akiyo Yamaguchi/Eri Hatayama who took silver in Qingdao, charge up the world rankings to world #23, up from #34. Poland’s Agnieszka Skrzypulec/ Irmina Mrózek Gliszczynska just won the Polish Olympic Classes Championships on Sunday, but make no gains up the world rankings leaderboard, sitting tight at #10.